The adjustment knob built in this Nano Tweezers allows perfect alignment of both tips for precise rework of the smallest SMD components. Thanks to its robust pivot shaft, the Tweezers allows keeping the component in between the tips preventing it from flipping over. The JBC smallest adjustable tweezers AN115 provides the highest precision when soldering or reworking SMD components. The adjusting system guarantees that the cartridges are vertically aligned. A single axis system helps guide your hand and steadies your pulse. Ideal for very precise applications. 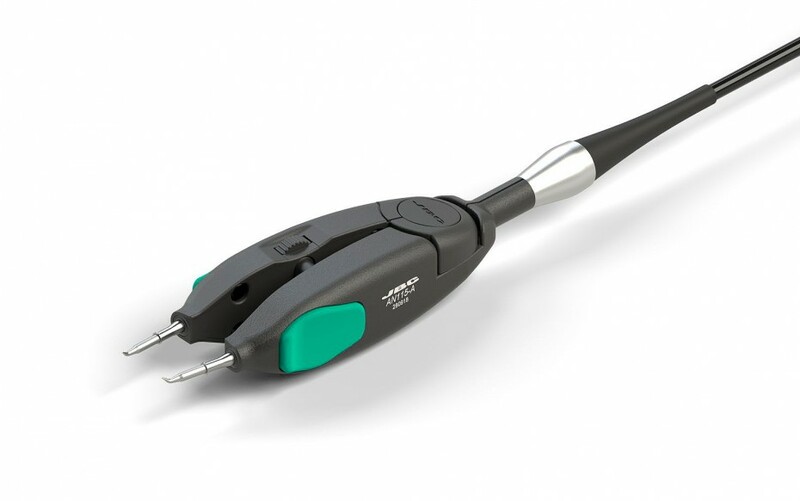 Provides the greatest precision handling of the tool, even under microscope. The Nano Tweezers AN115 works with the Nano Stations NASE-C and NANE-C and the C115 Cartridges. Not compatible with C105 Cartridge Range.